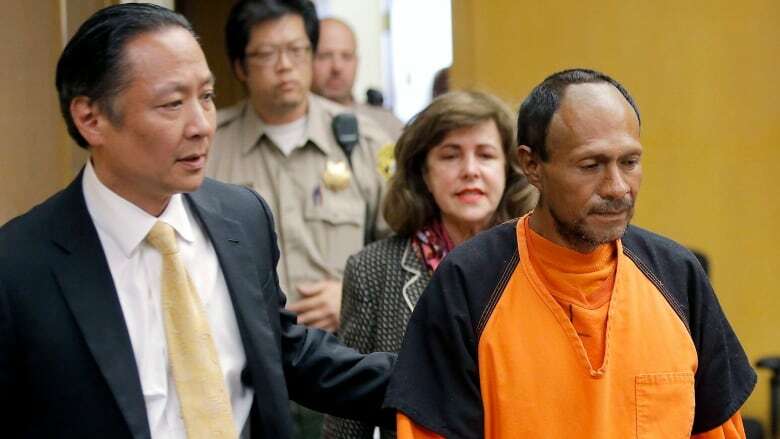 Jurors have found a Mexican man not guilty of murder in the killing of a woman on a San Francisco pier in a case that touched off a national immigration debate in the U.S. The jury reached the verdict Thursday in Kate Steinle's death. Jose Ines Garcia Zarate had been deported five times and was wanted for a sixth deportation when Steinle was fatally shot in the back in 2015. Garcia Zarate didn't deny shooting Steinle and said it was an accident. Before the shooting, the San Francisco sheriff's department had released him from jail despite a federal immigration request to detain him for deportation. Its "sanctuary city" law limits co-operation with U.S. immigration authorities. Donald Trump cited the case during his campaign for president in a bid to show the country needed tougher immigration policies.